Hi everyone! At the time of writing this review, Bitcoin was being traded at $5044. The market situation is currently a bit less cheerful than it was a few weeks ago. All leading currencies are in the red zone. In general, the previous week was an interesting one. On the night of April 11, the coin reached its 2019 maximum at $5416. It showed a 32% growth since the start of the month. After that, the price started falling. The price has moved upwards out of the triangle, but many were shocked when this turned out to be a false alarm and the price started going down. Correction did not reach Fibo levels of 0.5 and 0.61. The decrease halted at the 4930 level (Fibo 0.382 – $4920). We warned readers about the likely correction, so our subscribers were prepared for this. Essentially, nothing terrible happened, but the price will probably continue falling until it reaches the $4800 level. On the 1-hour timeframe, EMA50 crossed over EMA100 from below, cancelling out the signal to buy. The MACD indicator is in the negative zone. 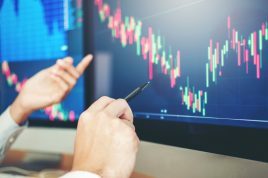 The signal to buy is maintained on the 4-hour timeframe, but EMA50 is showing signs of changing, and as of this writing the indicator has a neutral, strictly right-oriented position. MACD is in the negative zone. The signal to buy is also maintained on the daily timeframe – EMA50 is above EMA100, the MACD indicator is in the positive zone. The decrease is currently held back by a support at Fibo 0.382, approaching $4900. 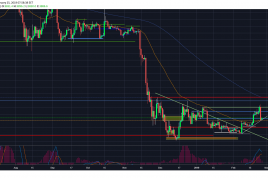 Bitcoin is still selling rather well – if this support is not maintained, the following decrease target will be at $4800 with potential decline to $4600. One important piece of news from this week is the potential ban on mining in China. The National Development and Reform Commission (NDRC) has unveiled a bill indicating the industries that the government intends to support, constrain or ban completely. Cryptocurrency mining was named an ‘undesirable industry’ in this document, with a ban proposed on the entire industry. If these changes enter into force, mining farms will be closed and the sale of cryptocurrency mining equipment will be considered illegal. It’s worth noting that the discussion of this bill will continue until May 7. Mining is only one of 450 industries and activities that may be banned completely. The NDRC first published a similar list in 2011. 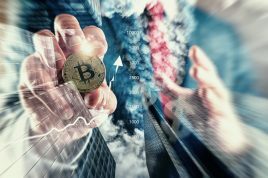 The potential ban raises a reasonable question: how will it affect the cryptocurrency exchange rate? The largest mining corporations (Bitmain, Canaan Creative, Ebang) and 90% of Bitcoin mining equipment are located in China. If these giants leave the market, the difficulty of mining might significantly decrease as well. But this will be a temporary fall that will end when major miners move their equipment to a new location. In the current climate, it’s best to refrain from trading. Deferred orders can be placed, while you relax this weekend. P.S. This week we witnessed an interesting situation: technically, everything pointed towards a particular scenario, but the market behaved unpredictably. Anyway, we are insured against these types of risks: there’s no need to jump to conclusions even if all fundamental and technical facts are pointing towards a particular scenario. We are ready for any outcome! Thank you for staying with us! Wishing you profits! What trends await the crypto industry in 2019? 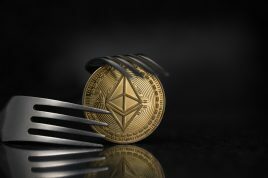 How will Ethereum network change following the activation of Constantinoplе hardfork?